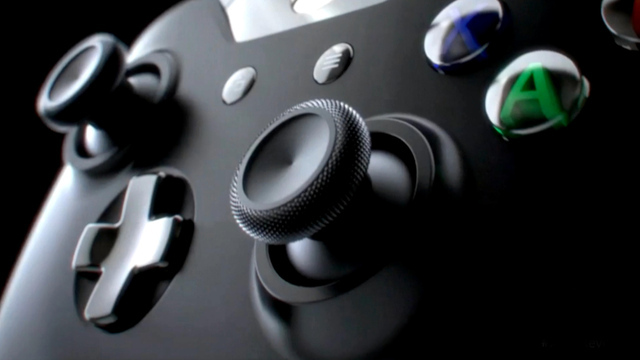 Xbox One users have also been reporting odd disc drive noises after the March update. The Xbox One April update is coming along and several individuals are involved in the preview program for the same. However, some issues have arisen with build 1404 of the April preview – specifically issues with the Blu-ray disc drive that prevents games from being recognized by the drive. A user posted about this on Reddit, along with the below image that indicated the various kinds of issues that pop up. One of them even includes a game in progress being stopped and the system asking you whether you have the game disc inserted. 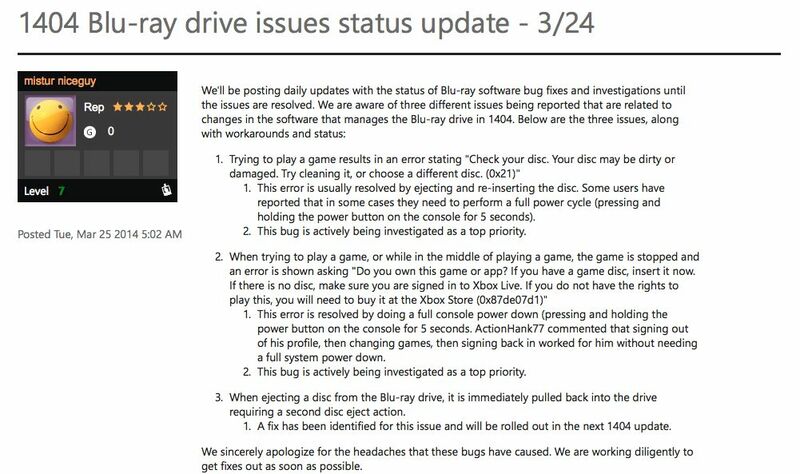 All of the above issues are being investigated but for the last one – in which the disc is automatically pulled back into the drive – will be addressed in the next 1404 update. But that’s not all. Issues have also arisen after the recent March update of odd disc reading noises that go on for 15 seconds after a game disc has been inserted. Apparently Microsoft support has stated that as long as there’s no grinding and the disc is being played there’s nothing to worry about. In concerns to this issue, a Xbox One dev stated that, “The developers did identify the issue based on the video that was posted that showed the sound being described. This seeking sound is a result of a known issue in the handling of game discs. This behavior is innocuous and does not indicate a physical problem with either the Blu-ray drive or the disc, nor does it affect gameplay or installation. Which is all well and good but that doesn’t mean the sound isn’t weird as hell. As for the Blu-ray issues in the April preview update, it’s important to note that it is still in the preview phase. It’s likely that Microsoft will resolve these issues in time for the April update’s roll-out. What are your thoughts on the above? Let us know in the comments below, as well as if you’ve been experiencing the same disc-reading noises after the March update.